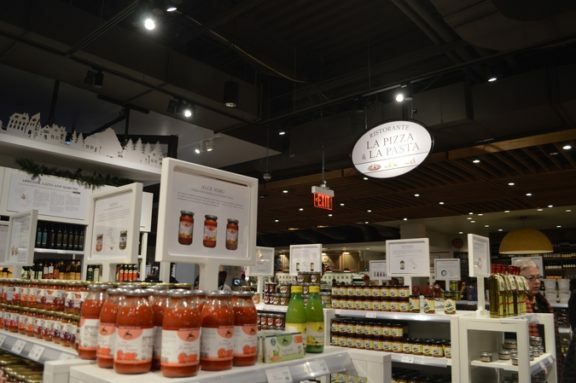 To take a break from (or procrastinate on) holiday shopping, be sure to check out Eataly Boston, a bustling Italian marketplace that just opened up in the Prudential Center. 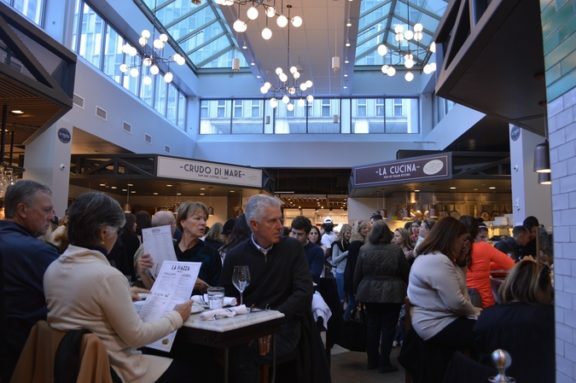 Eataly is packed with an impressive variety of authentic Italian foods, drinks, and culinary activities such as free live cooking demonstrations and ticketed hands-on cooking classes. It includes restaurants and cafés in addition to the market. Eataly is the largest Italian marketplace in the world. It was founded by entrepreneur Oscar Farinetti, who was previously involved in the consumer electronics business. In January 2007, he opened the first Eataly in Turin, Italy. The company has expanded enormously since then, having 18 marketplaces open in Italy and several others open in countries ranging from Denmark and Germany to Japan and South Korea. 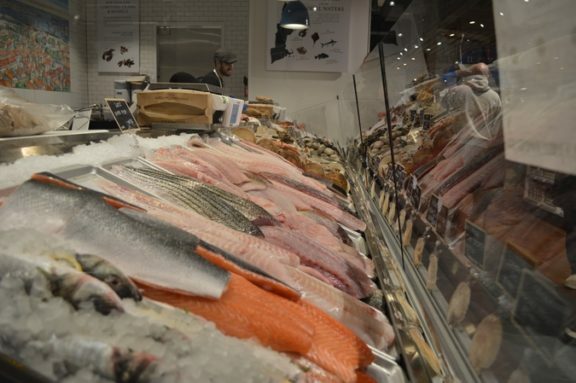 There are currently four Eataly marketplaces in the United States: Chicago, New York City (which has two, Flatiron and Downtown), and now Boston. 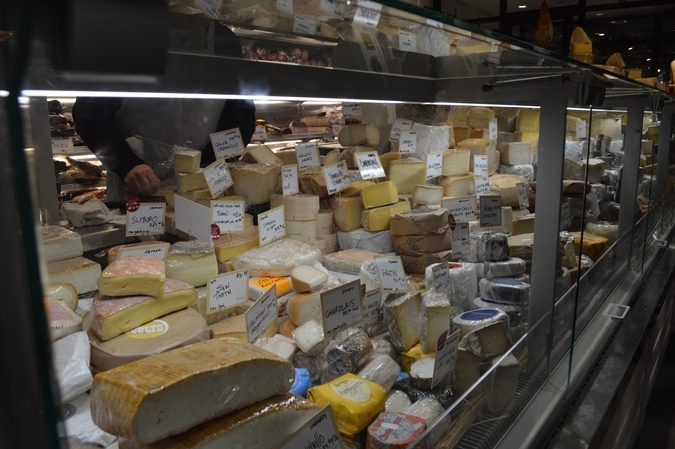 The market is the main attraction at Eataly, and it takes quite a while to explore every nook and cranny. Most of the major sections of the market are located on the outer edges of Eataly, with signs hanging overhead that designate each section. 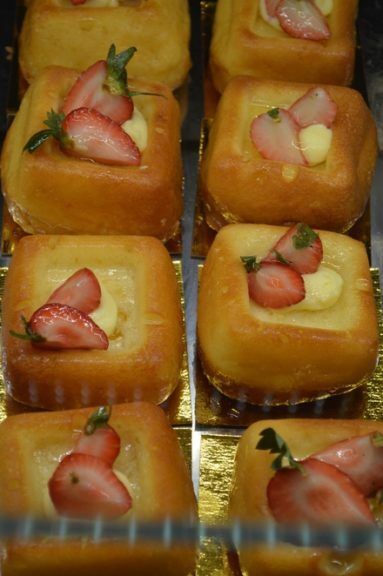 The bakery is the first section that visitors encounter on their way in through the main entrance, which isn’t surprising—everyone loves a delicious Italian pastry. The bakery also produces freshly baked bread for all of Eataly’s restaurants, counters, and market with its custom-built wood-fired oven. Check back periodically to catch the bakers taking the bread out of the oven – the smell of freshly baked bread draws many visitors right to the section, and it is crucial to get in line for that free sample as soon as possible. Right next to the bakery is the sweets section, which offers a colorful array of Italian candies, cookies, and chocolates. 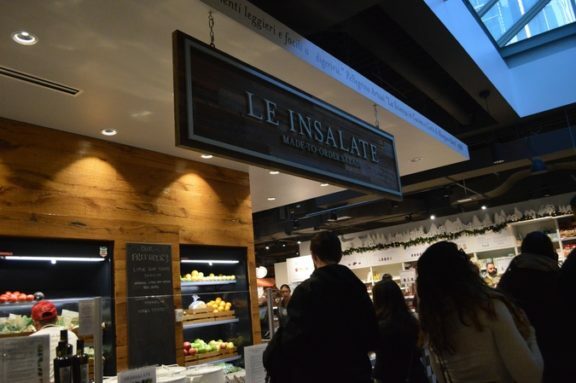 The dry pasta, rice, and grains are located right in the middle of Eataly—many visitors easily spend a half hour walking up and down the aisles browsing the seemingly endless selection of pasta. The pasta is shaped through a bronze mold and air-dried for 24 to 48 hours to create the perfect consistency to stick to sauce. If a customer wants it fresh, however, they have to head to the back right corner of Eataly, where it can get pretty crowded. In the back left corner of Eataly, just past the butcher and seafood sections, visitors will encounter more cheeses than they’ve probably ever encountered in their lives. The main attraction here is mozzarella, although creamy stracciatella and burrata are available as well. Eataly’s cheese experts will even make fresh mozzarella by hand right in front of visitors as they explore the dairy and salami sections, which are located just nearby. The last major section of the market is Eataly Cantina, a wine shop located just past the escalators near the fresh pasta. Eataly Cantina offers more than 1,200 premium wine, beer, and spirits carefully sourced from both Italy and New England. Visitors can enjoy complimentary tastings (although these are frequent all throughout Eataly’s market), participate in meet-the-winemaker events, and explore the rare, collectible wines stored in Eataly’s temperature-controlled Riserva Room. Many visitors get hungry looking at all of these tasty products, and that’s when they decide to stop at one of Eataly’s restaurants. La Piazza is a standing restaurant located at the heart of Eataly, and it is modeled after an Italian city square. It offers shareable platters of meat and cheese, fresh oysters, raw fish, salads, and a rotating selection of cocktails, wines, and beers. La Pizza and the Pasta allows diners to watch Eataly’s specialist pasta chefs and pizza makers create their dishes right before their eyes, while Il Pesce offers a range of delicious seafood dishes, from antipasti to whole-fish presentations. Eataly’s restaurants don’t accept reservations, instead offering tables on a first-come, first-served basis, so be sure to get there early. If visitors aren’t hungry enough for a full meal, there are plenty of other dining options available in the form of the to-go counters and cafes. Some of the counters include Cannoli Cart, Il Gelato, and Pastella: Creperia Italiana, which offers cannoli, gelato, and crepes that are all made in-house daily with the highest quality ingredients. Eataly’s two cafes, Caffé Vergnano and Caffé Lavazza, are both centered on Italian espresso drinks, along with freshly made pastries such as croissants and cakes. All of this is just the tip of the iceberg when it comes to Eataly—everyone has to go and explore it for themselves to get the best of what it has to offer. 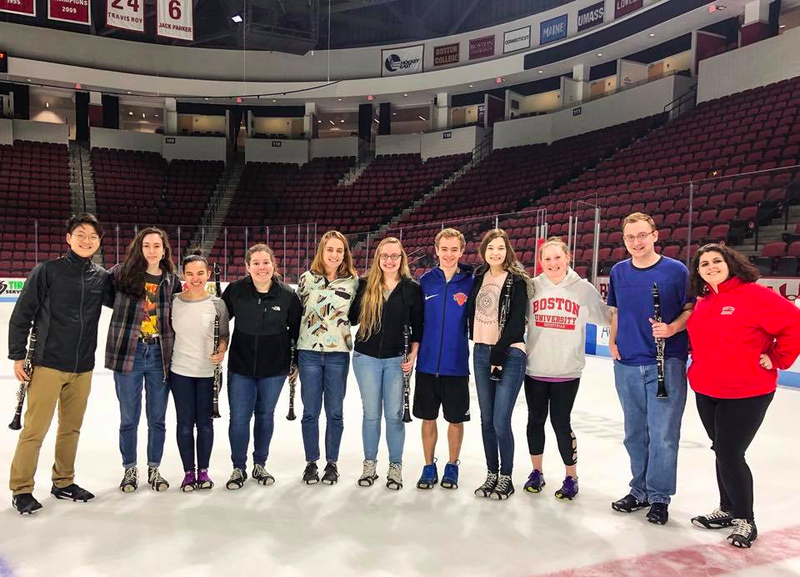 It is clear that the shoppers at the Prudential Center have cleared out several hours in their schedules to visit this culinary hub as soon as possible; the line to get in quickly becomes so long that it can take up to an hour to get in, so plan accordingly. However, the visit is well worth it; there is no better way to destress from holiday shopping than enjoying a margherita pizza (and a chocolate chip cannoli and vanilla gelato) in the Prudential Center’s newest attraction.